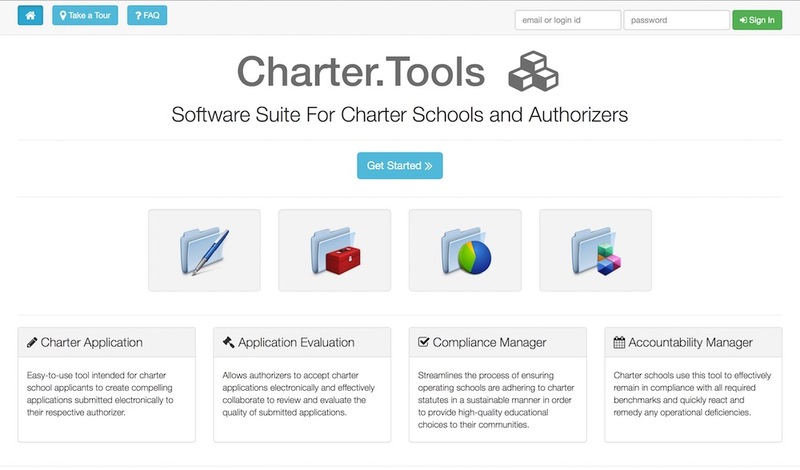 We truly believe that Charter.Tools is the best and most affordable software solution out there for charter school authorizers of any size. Petitioners create their application; Authorizers review and evaluate; Charter Schools execute their educational vision according to the charter. Balance is achieved. 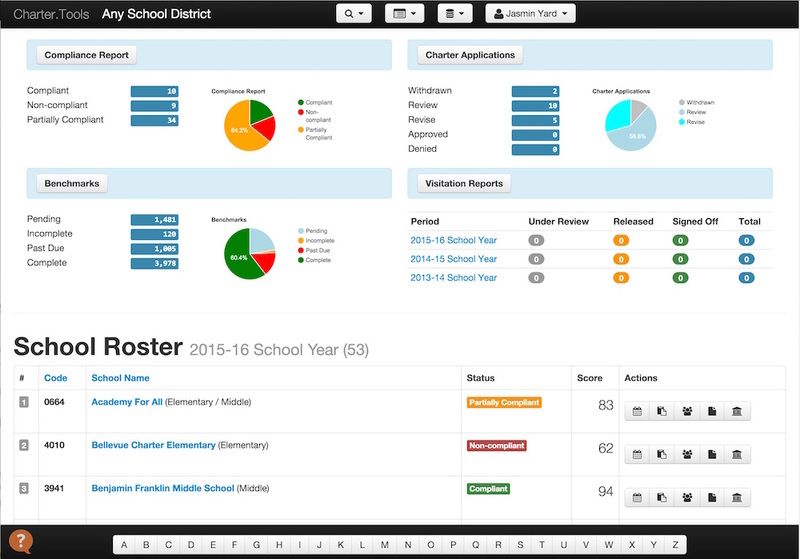 From a single, dashboard view, authorizers always get an up-to-date snapshot of important information that pertains to their schools. 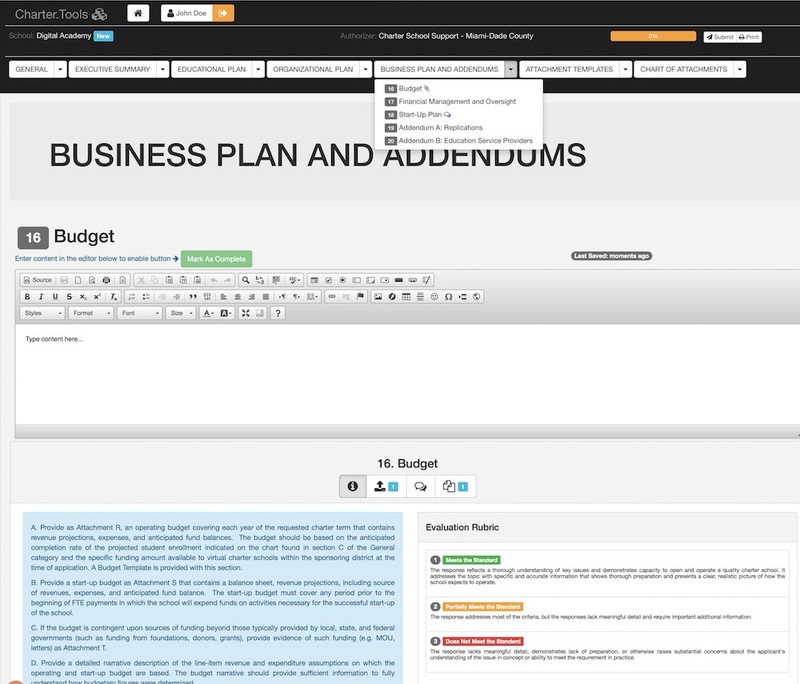 The best way to appreciate the many features offered by Charter.Tools is to see a live demo. To learn more please contact us to schedule a 30 minute, on-line presentation from to convinience of your office or home. Charter Tools transorm manual, labor-intensive processes into streamlined digital workflows that increase productivity while saving time, money and materials. Our secure, cloud-based management and compliance tools enable a quick launch with no upfront costs whatsoever. No hardware costs, no software installation, no ongoing development and maintenance costs. Charter Tools gives you peace of mind so you can focus on the success of your schools and their students rather than worry about your informtion technology. Authorizers work in partnership with their petitioners and charter schools all day, every day. Charter schools and authorizers can collaborate among their team members to edit, review, submit, and approve applications simultaneously. And in the case of application denials, application updates and resubmittals are a breeze. Once approved, document management including benchmarks and visitation reports keep schools in compliance while saving everyone time and money in the process. The outcome? A higher level of achievement for all students. Ever since Charter.Tools was launched, we've seen a steady growth in terms of customer acquistion and product develoment. We are always looking for opportunities to further grow our business; so, feel free to reach out to us.